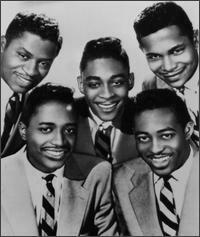 The Flamingos rank right up there with the top R&B; vocal groups of the 1950s. Their influence goes far deeper than their biggest hit, “I Only Have Eyes For You”. You’ll find out the story behind the story and hear some of their great early recordings like “Golden Teardrops”, “If I Can’t Have You” and the original version of “I’ll Be Home” (it was covered and bleached by Pat Boone). Stand back as the Flamingos fly into Harlem, all week on the 50s on 5.